1) Mention what is SAP? 2) Mention what is SAP Testing? 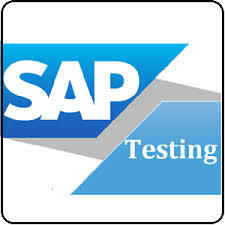 3) Mention what are the types of testing is done for SAP? Integration testing and so on. 4) Mention how to create an effective SAP Test case? 5) Mention tools useful for SAP Testing? 6) Why choosing a right strategy is more important than choosing a tool for SAP Testing? 7) Mention what are the benefits for SAP applications? 8) Mention what are the challenges faced during SAP Testing? 9) Mention what are the points to be considered while performing SAP Interface Testing? 10) Mention what are the types of work processes in SAP? 11) Mention what is the difference between kernels, support packages & SAP Note? 12) Mention what is ECATT? 13) Mention what are the useful features of ECATT? 14) Mention what is the difference between developer trace, System trace, and System log? 15) Mention what is Screen flow logic in SAP Testing? 16) Mention what is the use of Process Flow Analyzer in SAP TAO? 17) Mention what is SAP Cutover Testing? 18) Mention what should be the approach for writing a BDC program? 0 on: "Most Common SAP Testing Interview Questions With Answers."